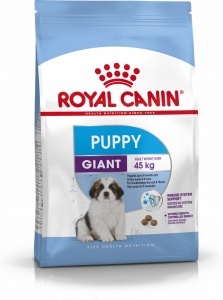 The only super premium dog food specifically formulated for the giant breed puppy. 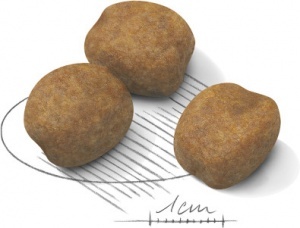 Larger kibble size and top quality ingredients to give your puppy the best start in life. 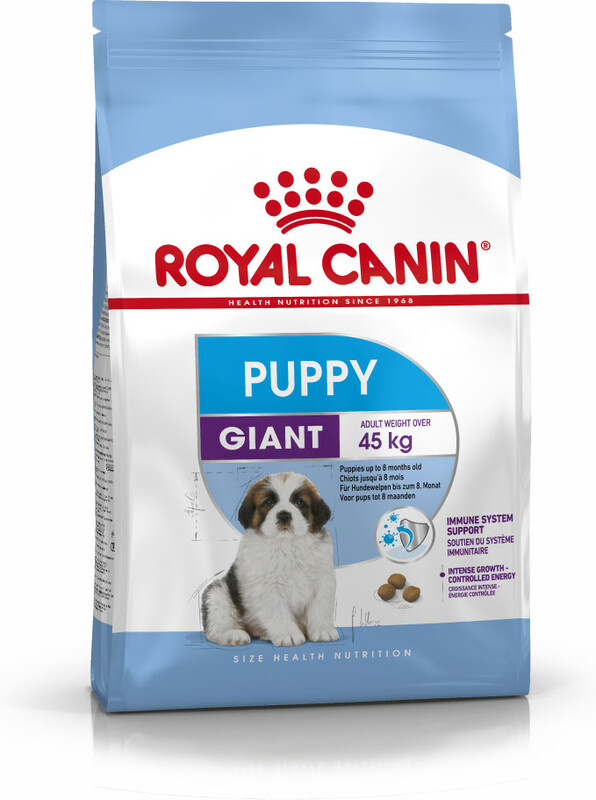 Growth is an essential stage in your giant breed dog’s life. It is the time of big changes, discoveries and new encounters. During this key period, the puppy’s immune system develops gradually. 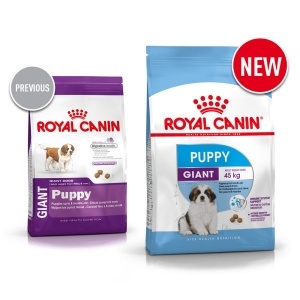 Royal Canin Giant Puppy helps support your puppy’s natural defences thanks to a patented blend of antioxidants including vitamin E.
Dehydrated poultry protein, rice, vegetable protein isolate*, maize, animal fats, hydrolysed animal proteins, beet pulp, minerals, soya oil, yeasts, fish oil, fructooligo- saccharides, psyllium husks and seeds, hydrolysed yeast (source of mannan-oligo-saccharides), hydrolysed crustaceans (source of glucosamine), marigold extract (source of lutein), hydrolysed cartilage (source of chondroitin). Crude ash: 7.6%. Crude fibre: 1.4%. Crude oil fats: 14%. Moisture: 0%. Protein: 34%.